Russian and Iranian Yogis’ joint tour in Erevan, Armenia (May 2010). | Realise the World! 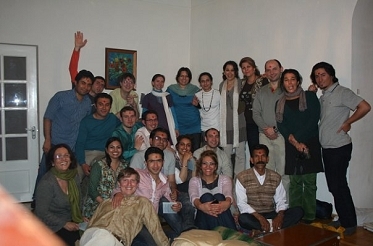 Russian and Iranian Yogis’ joint tour in Erevan, Armenia (May 2010). 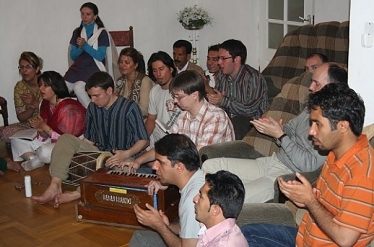 At the beginning of May, 2010, a group of Sahaja Yogis from Russia and Iran held a joint tour for the advancement of Sahaja Yoga in Erevan, the capital of Armenia. The Tour was devoted to the 40th anniversary of Sahaja Yoga. We decided to offer Shri Mataji one more country where Sahaja Yoga will be established. 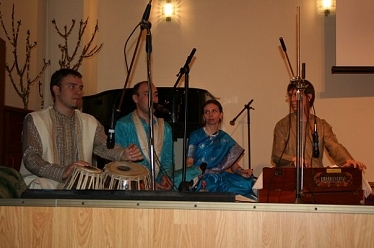 It was a unique experience of collective work of two large Sahaja collectives: Russia and Iran. During several previous months large work was done in the course of preparation for these great events. Under the legal and information aegis of Russia the documents for the official registration of Sahaja Yoga in Armenia had been prepared. The beginning of the Tour was planned for April 26, 2010 and it was very symbolic that several days before the Tour the authorities of Armenia officially registered Sahaja Yoga in that country. 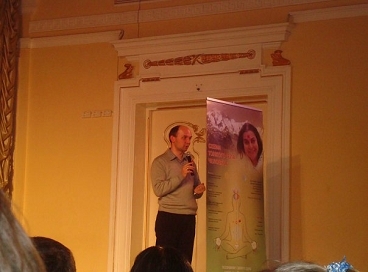 During several days Russian Sahaja Yogis held many Public Programs in different parts of Erevan: there were programs in Erevan State University, Erevan Linguistic University and Erevan State Conservatoire. 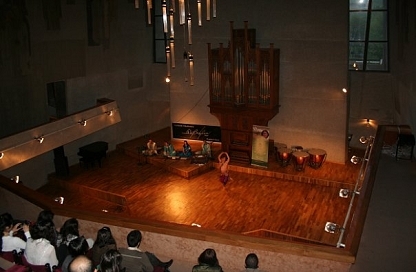 For two days in the evening there were held big Public Programs in Erevan Central Concert Halls. More than 700 people visited the Programs. After each Program the audience expressed their gratitude applauding standing, not willing to let the musicians go. Each of the programs was visited by the representatives of State Bodies, heads and representatives of several Embassies of foreign countries. The Ambassador of India came up onto the stage to express his admiration of what he had seen. He also asked for the contact info of Sahaja Yoga Center in Russia for the establishment of further cooperation. All this time Iranian Sahaja Yogis were taking care of the comfort and food of the Russian Sahaja Yogis. Sisters from Iran cooked very tasty food daily and took care of the Yogis hourly. We offered a Havan and Puja to Shri Mataji and on the last day there was organized Rakhi Ceremony during which the sisters from Armenia and Iran tied rakhis to the brothers from Russia creating a strong Divine connection between the collectives of Russia, Iran and Armenia. More than 30 people came to the follow-ups and the meetings for newcomers are held on a regular basis in Erevan now. We are offering our unending gratitude to our Divine Mother who inspires us and grants us infinite joy from spreading Sahaja Yoga in other countries.